How to Lose Weight and Detox with Ginger? – Your Complete Guide Is Here! Do you love the flavor of ginger or just can’t put up with it? Well, it really doesn’t matter as the root vegetable comes with tons of medicinal benefits and everybody, irrespective of its lover and hater, should consume it on a regular basis. 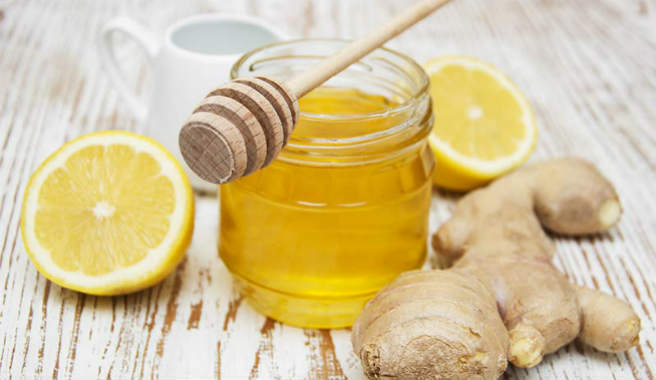 The healing properties of ginger are strongly supported by its health punch, which makes it an excellent natural solution for detoxification and weight management. If you are looking for a perfect slimming formula that can make your abdomen flatter, simply embrace ginger! Why To Eat Ginger For Detox And Weight Loss? Ginger seems to play a crucial role in our digestion. It helps our stomach pH go up, thereby stimulating the secretion of digestive enzymes. On the other hand, the high dietary fibre content of the root prevents constipation by keeping our gastrointestinal motility high. These result in efficient processing of foods within the gastrointestinal system, fast absorption of essential nutrients by our cells, and elimination of bulking food parts that contribute to extra body weight. Ginger is a proven natural ‘thermogenic’ agent, which aids in fat burning by boosting our Basal Metabolic Rate (BMI). According to several studies, the root veggie is capable of improving our bodily metabolism by as much as 20% through a number of health benefits. This melts off stored fat and leads to visible weight loss gradually. Ginger is considered as one of the most potent detoxifiers we can ever have in our kitchen. It cleanses our entire system by facilitating digestion, improving metabolism and enhancing blood circulation throughout the body. In short, regular intake of ginger can remove the waste and toxin build-ups from our liver, colon and other significant organs, thereby promoting weight loss in an indirect way. Ginger reduces the levels of cortisol in our body, which contributes to fat loss to some extent. The steroid hormone can make us put on weight, especially around the belly area, which can be prevented through ginger consumption. Ginger has been found to have amazing effects on our feelings of hunger. It not only enhances our satiety after each meal, but also keeps hunger pangs away. As our appetite is suppressed and we feel fuller for a longer time by consuming ginger, we do not end up ingesting unwanted calories through overeating and become able to keep additional weight away. Ginger itself is an almost calorie-free herb that makes our weight loss journey easy, smooth and safe. How To Eat Ginger For Detox and Weight Loss? 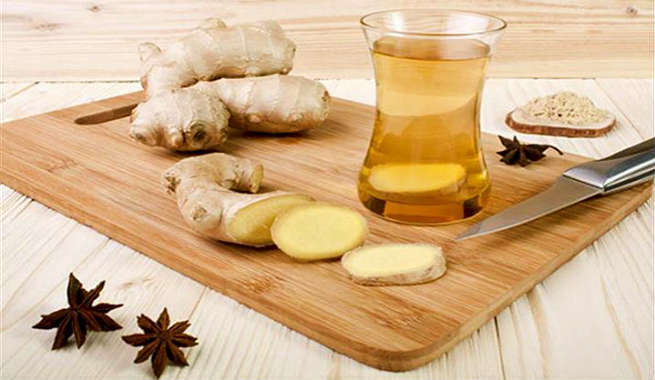 Enjoying ginger tea infusion is the easiest and simplest way to include ginger in your weight loss plan. Prepare it by steeping 1(1/2) teaspoons of freshly grated ginger in 2 cups of boiling water for 10-15 minutes. If you are using ginger in the powdered form, modify the quantities of ingredients a little. Just dissolve (1/2) teaspoon of ginger powder to 4-6 ounces of boiling water and your tea is ready! You can sweeten the strained infusion by adding 1-2 teaspoons of honey to it. 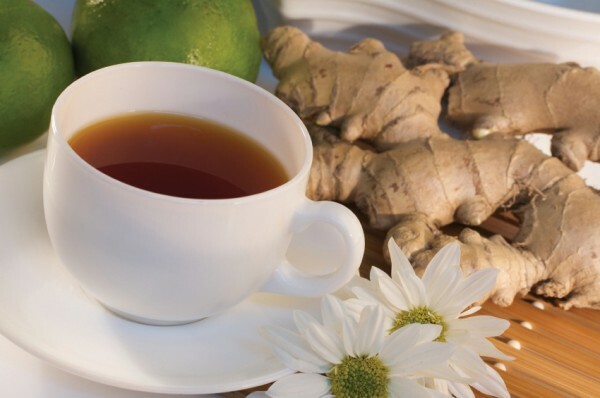 Sipping freshly brewed ginger tea at least 2-3 times a day before meal will help you reap the maximum benefits. 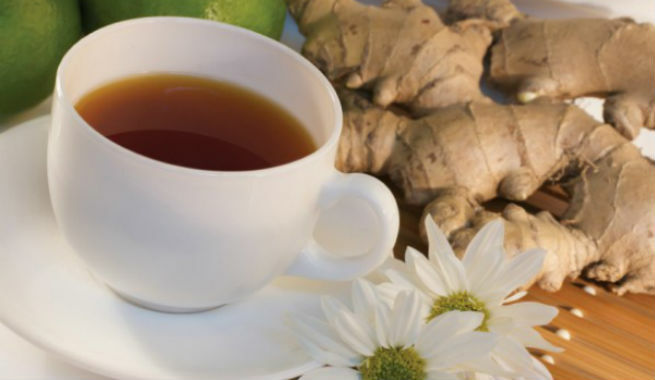 Combine ginger with antioxidant-rich green tea to promote your weight loss considerably. All you need to do is to prepare a cup of green tea (follow the regular procedure) and add a few slivers of ginger to it. Let it immerse in the tea for 15-20 minutes and enjoy! Amplify the detox benefits of ginger tea with another highly effective natural cleansing agent lemon. Add a few thin slices of ginger to a cup of billing water and cover it for 5 minutes. Once the herb is infused properly, squeeze out the juice of a lemon into it. Drink the concoction every day prior to having your breakfast. This is one of the most powerful weight loss recipes made using ginger and this actually tastes delicious! Just juice up 2 large fresh lemons, add 1 teaspoonful of finely chopped ginger to it and bring the whole mixture to a boil. Then, pour 4 cups of water into it and add some honey / cane juice / grated lemon peels (optional). This lemonade should be consumed daily before having breakfast. Chew on a tiny piece of plain ginger or a slice of the root dressed in a pinch of salt and a few drops of lemon juice right before having your meal. Use ginger in your daily diet as a spice or top your side dishes with some freshly grated ginger. Make your salad dressing by dipping a small piece of ginger into some lemon juice or blending some minced ginger with chopped garlic, olive oil and soy sauce. However, you must not eat more than 4g ginger a day and it is always advisable that you consult an expert before incorporating the herb in your weight loss program as a staple.